Apple recently increased parts orders for the "iPhone 7" —expected to be announced on Wednesday —in what may be a sign that it doesn't think iPhone sales will decline as harshly year-over-year as originally forecast, a report claimed on Monday. Orders from suppliers were raised 10 percent, Taiwanese supply chain sources told DigiTimes. Apple allegedly predicted that iPhone shipments in the second half of 2016 would only be 60 percent of those a year ago, which averaged roughly 30 million units per month. Even with a temporary improvement, parts orders are likely to diminish over the December quarter. While Apple needs a large quantity of components to meet launch and holiday demand for iPhones, sales inevitably shrink in the beginning of the following year, even if a product is a runaway success. The "iPhone 7" is mostly expected to be an interim update, with features like a faster processor, better camera technology, better waterproofing, a pressure-sensitive home button with haptic feedback, and more storage space —32 gigabytes on the bottom end, 256 gigabytes at the top. 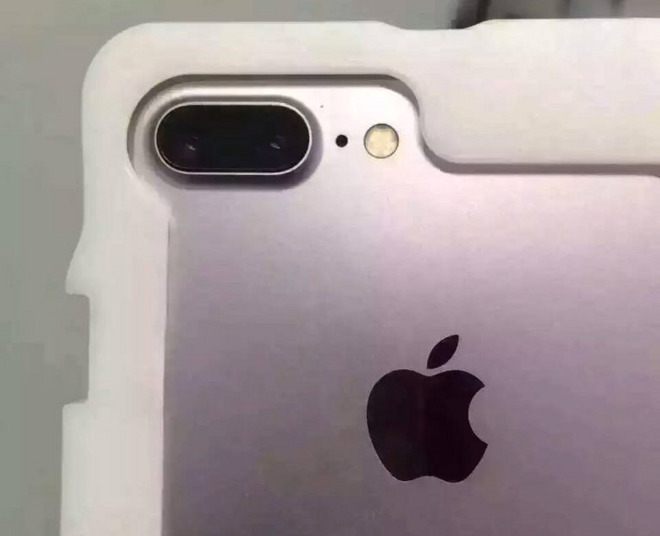 The "7 Plus" should have a dual-lens camera, and may or may not have a Smart Connector on the back. These relatively modest upgrades could be one reason Apple would anticipate softer iPhone sales. The company is thought to be placing a bigger bet on 2017 iPhone models, which may have features like edge-to-edge OLED screens and iris scanning.